Shinco, a brand owned by Videotex International has launched 4K LED TVs in India. 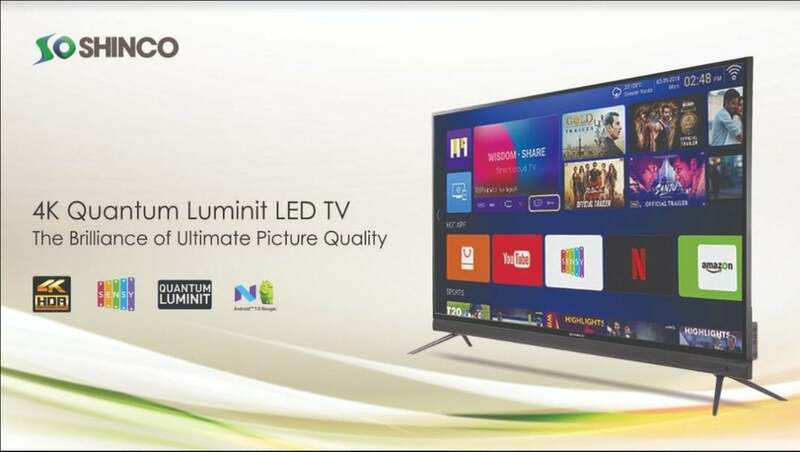 Before the 4K LED TV launch, the brand has already introduced LED and smart LED TVs, with amazing prices, as low as Rs. 6,990. Shinco has introduced three 4K Quantum Luminit Ultra HD SMART LED TVs – S43QHDR10, S50QHDR10, and S55QHDR10 which have a display size of 43-inch, 49-inch, and 55-inch respectively. All these models will be available exclusively on Amazon India and Paytm Mall, during the Amazon Great Indian Festival Sale starting from October 10, 2018. In terms of specs, the Samsung made display panel has UHD resolution with 3840×2160 pixels, with a contrast ratio of 5000:1 and up to 350 nits of maximum brightness. The smart 4K TVs have a wide viewing angle of 178-degrees. 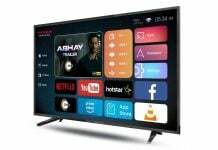 The 4K TVs are powered by a Cortex A73 Dual Core processor, clocked at 800MHz, coupled with 1GB of RAM and a Dual Core Mali450 GPU. There is 8GB memory onboard, but always any kind of external storage can be connected to it using the USB 3.0 and USB 2.0 ports. The TVs has connectivity features like Ethernet, Wi-Fi, HDMI etc. These 4K Smart TVs also support M.Cast, EShare, and Airplay so that every kind of smartphone user can connect to it easily and share content and cast easily. There are two 10 Watt speakers with Surround Sound, and the TV supports HDR10. An optimist to the core, I always see the glass half full. I like to take life as it comes and not to become too serious on the harsher aspects of it. Apart from this, I am an Engineer, a Blogger & a Researcher. Join me on Facebook and Google + and Twitter. Also you can add me on Whatsapp at +91-8285555592.